Watching TV or online videos, browsing internet or gaming in the comfort of your home is easier with a cheap and practical tall TV stand or entertainment center. If you live in a small apartment or house and prefer compact furniture, which is both money and space-saving, you should love our cheap compact tall TV stands for flat screens. Choosing a cheap tall TV stand for a child`s room may also be a wise decision. With technical progress making giant leaps towards minimalism, you no longer need large TV stands or storage units for your bedroom or living room. However, you do need space to accommodate your LCD screen as well as all the equipment and paraphernalia that comes with it: wires, consoles, brochures, CDs, etc. Here at Furniture in Fashion.com we offer cheap tall TV stands for flat screens that combine both functionality and style: they are minimalistic, with little or no unnecessary décor. Still, there is a variety of designs to choose from ? 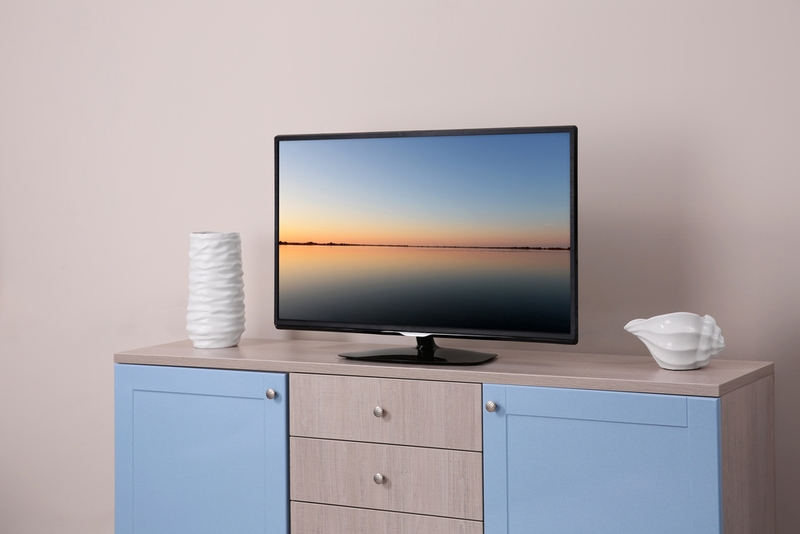 our product range features vintage or classic-looking TV stands as well as sleek high-tech ones. Some of them are small and narrow, designed to occupy as little space as possible, but you may also choose larger ones, equipped with shelves and drawers, depending on the size of your living quarters and your specific storage needs. We also offer small corner TV stands that save as much space as possible. Curved designs are available to satisfy the taste of customers bored with traditional shapes. Most of the cheap tall TV stands for flat screens that we offer here at Furniture in Fashion.com are open units, but some of them are equipped with doors - wooden, plastic or glass ones, depending on their design style and type. Our cheap tall TV stands also come in different colors: brown, beige, grey, plain black and white. Not only is the price of a TV stand determined by its size, it is also influenced by the type of a material it is made of: synthetic materials are cheaper than natural wood. Tall TV stands for flat screens made of steel, glass and plastic are usually cheaper that those made of oak, walnut, plum, cherry or other wood. It also matters if the wood is plain, unpainted or decorated with gloss or carvings: units made of plain wood are usually cheaper. However, at Furniture in Fashion.com you may choose an ideal combination of price and quality, depending on your budget, your apartment size and the type of interior. Most of cheap tall TV stands for flat screens are unlikely to become your family relic, however handled with reasonable care they may stay in great condition and serve you for several years. We deliver your cheap tall TV stand for free, if you order it online via our web store, here at Furniture in Fashion.com. Browse our catalogue, or talk to our customer support specialist to select the TV stand or entertainment unit that meets your design and pricing needs now.